Google' Blogger is a hugely popular blogging platform with a small built-in 'store' of basic themes. 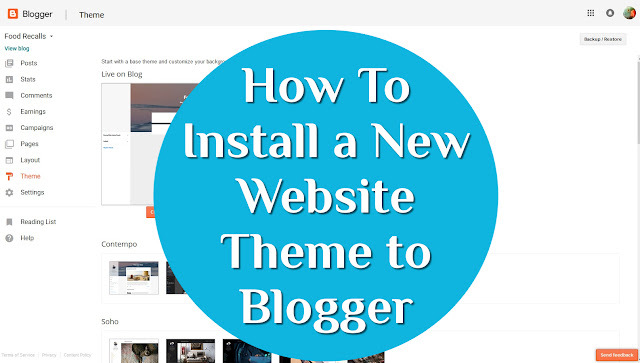 If you're looking for how to install your own unique theme, this tutorial will show you just how easy it is to customize your online Blogger presence. There are a lot of sites out there that offer FREE Blogger themes for your blog. However, not all of them are that great. There are only a couple of sites that I have personally used in the past and can confidently recommend to you. So, let's waste no more time and get to the meat of things! I love these guys. They have a huge collection of totally FREE Blogger templates available. They offer Responsive Templates (this simply means that the template automatically adjusts for optimal viewing by mobile users) and SEO Ready Templates. They also have Premium templates available for decent prices. Now, this is my favorite choice for a Premium template. My template here was purchased from Sora. They offer Totally FREE versions of their templates too. I also noticed that many of the templates on Gooyaabi are actually Sora. But, Sora is hands-down my favorite, simply because of the extremely affordable prices. This theme I purchased for this site was only $7.95!! Eight bucks and I'm ready to go and customize! You can't beat that. You Found the Template You Love. Now What? Easy. 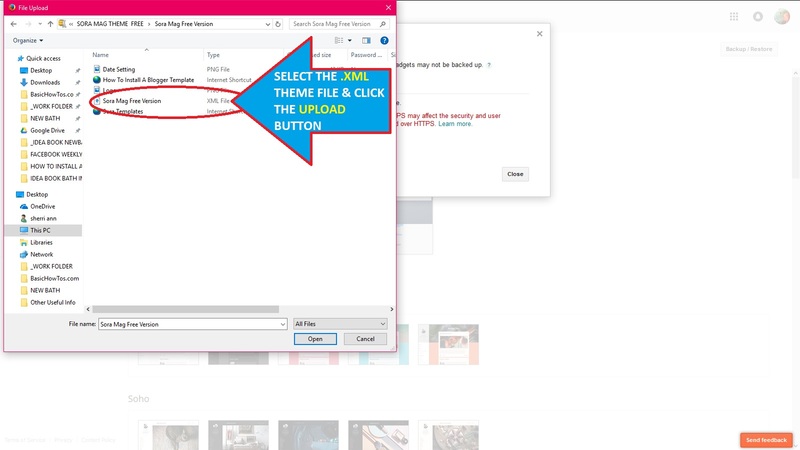 When you find the template you want, all you need to do is download the template to your computer—it will be in the form of a .zip file which—you will need to extract in order to access the individual files. 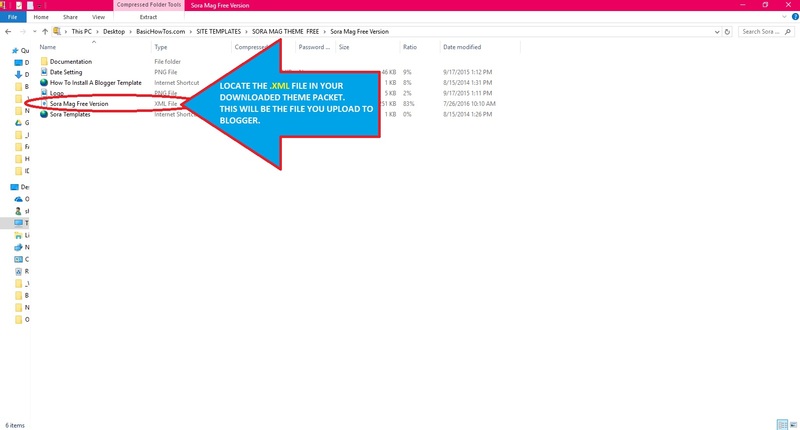 The actual theme file you are looking for in this downloaded packet will be the .xml file. This will be the file we will upload to our Blogger website. The actual theme file you are looking for in this downloaded packet will be the .xml file. 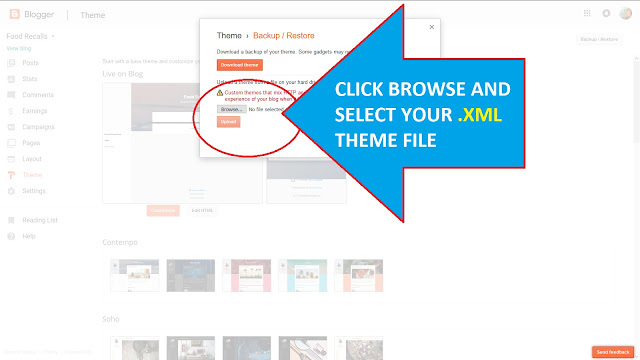 Now that you have your downloaded theme and know exactly where your .XML theme file is, let's install it! 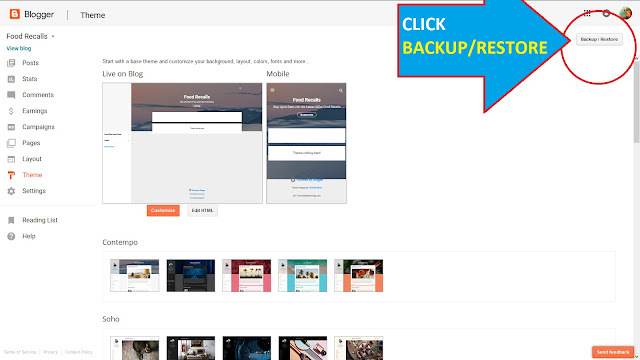 Before you begin installing your new theme, please take a moment to BackUp your current theme as a precautionary measure. I have never had any issues, however, weirder things have happened. Better Safe than Sorry. Final Step in the installation process. 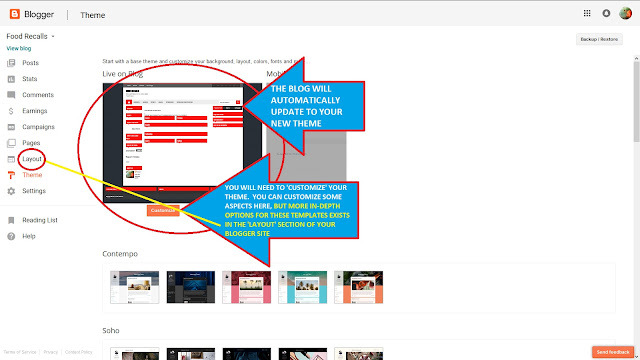 Once you've clicked 'Upload', you see your blog automatically update to the new theme in the preview view (like below). You will need to Customize your theme. 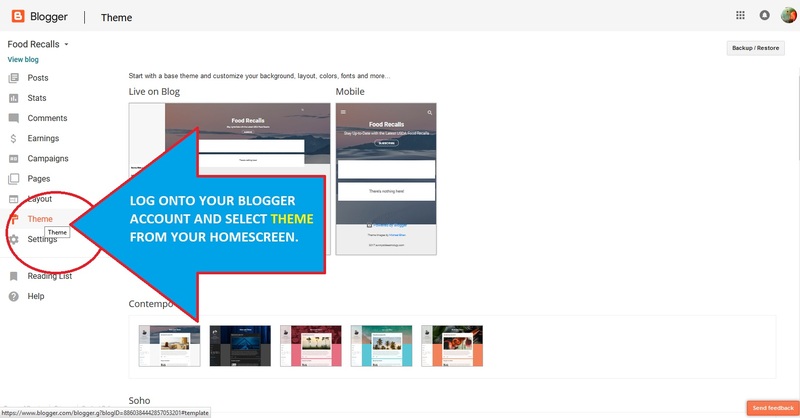 There are limited options in the traditional Blogger 'Customize' section. To customize these style of themes, you will need to enter the 'Layout' section of your Blogger (located on the left-hand column). Most themes come with some sort of a 'Read Me' instructional text file within the template packet you downloaded. Be sure to look that over for tips and tricks on how to get the most out of your theme. Both template providers in this post are more than willing to help answer any questions you may have regarding their themes. Feel free to visit their website to contact them directly, if needed.